When healthcare administrators think of hospital bottlenecks and delays, they usually think of three things as the root causes: beds, beds and beds. Of course, staffing and other resources factor in, but usually the common denominator is the ability to provide clean, ready, staffed beds. However, in some hospitals there is a second key constraint in parallel with bed availability: -the availability of providers, or provider “teams,” to care for newly admitted patients. For many hospitals, this is a non-issue. There are always physicians ready to promptly take a call and accept responsibility for a new patient. Yet for other hospitals, difficulties, shortages, and delays in assigning accepting physicians and teams may have more impact than the availability of beds altogether. The most prominent examples are teaching hospitals in which resident housestaff provide a significant proportion of care. Once upon a time, residents were expected to work with almost no limit on hours or patient load. Those days are gone. Accreditation Council for Graduate Medical Education (ACGME) rules today sharply limit the number of new patients a resident can accept, the total number of patients they can carry, and the hours they can work. In other hospitals, attending physicians or advanced practice providers may have similar limits based on contracts or other terms of work. This can be the case in academic settings, but also in the (rare) environments in which providers are unionized, or simply have highly-structured work terms. Siloing can also create provider shortages and delays. Siloing occurs when provider capacity is broken into many separate teams. In smaller hospitals, it is often hospitalists and primary providers with admitting privileges who admit the vast majority of patients, even when they require specialty care or surgery. In some large tertiary and quaternary referral hospitals, however, there may be highly specialized admitting teams such as cardiology, renal medicine, neurosurgery, or orthopedic surgery. Any siloing can lead to loss of effective capacity and situations where there is a long delay because some teams are “full” even while other teams still have capacity. More significantly, there are often major delays involving three- or even four-way discussions to determine who will accept a new patient. Finally, there is the question of incentives. In environments such as academic hospitals, but also some others, there may be no incentive to providers to take on more new patients, or carry a larger panel. In such environments, delays and long discussions can be more common. What does this mean for those of us working to improve patient flow? In particular, what does it imply when planning to handle surges in patient volume? There are several effective strategies to consider. First, wherever possible, reduce silos. It makes no sense to have some teams half full while patients wait hours because other teams are out of capacity. This can be done by merging teams, maximizing flexibility regarding types of patients that can be accepted, and allowing overflow between teams. Second, assigning teams must be policy driven, and not a recurrent, case by case, discussion. Empowering emergency physicians and the admissions office to make “automatic,” single-step assignments will dramatically reduce delays. Third, even in highly specialized academic centers, there can be robust hospitalists or general internist teams designed in such a way that they can “flex up” rapidly to accommodate spikes in patient volume. Fourth, in any hospital for which providers can be a bottleneck, providers need to be part of a surge plan. This means having triggers and actions. Actions can include temporarily enlarging team panels. This may be something that is worked out with Graduate Medical Education (GME) leadership, or it may involve supplementing resident teams with advanced practice providers. New teams may be created on a short-term basis to handle a surge, diverting physicians from educational, research or other tasks. Overflow rules between teams can be relaxed. Finally, all operational planning, and in particular surge planning, becomes more effective with accurate demand and supply modeling, and forecasting. Discrete event simulation, what-if scenario testing, and advanced forecasting methodologies giving three or more days’ warning of volume spikes, are technologies and methodologies available to hospitals and health systems today. 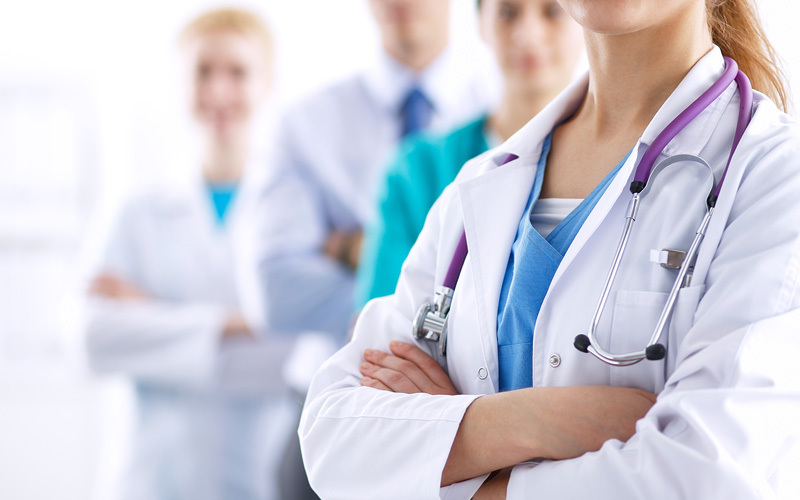 These tactics and strategies are just as effective at maximizing the care we can provide with available physicians as they are at maximizing care we provide with available beds. Finding ways to resolve these problems in the hospital ensures that healthcare professionals can continue toward the ultimate goal – improving the access to and quality of patient care.